No matter where you’re going, you’re headed for more Fun with a Motorola Portable! They play anywhere – on their own batteries or on house current. You’ll like the dependable performance that comes from the ruggedly built chassis and shock-resistant tubes. And you’ll be proud of the beautiful styling of the sturdy, weather-resistant cases. Make your choice the choice of millions…Motorola! 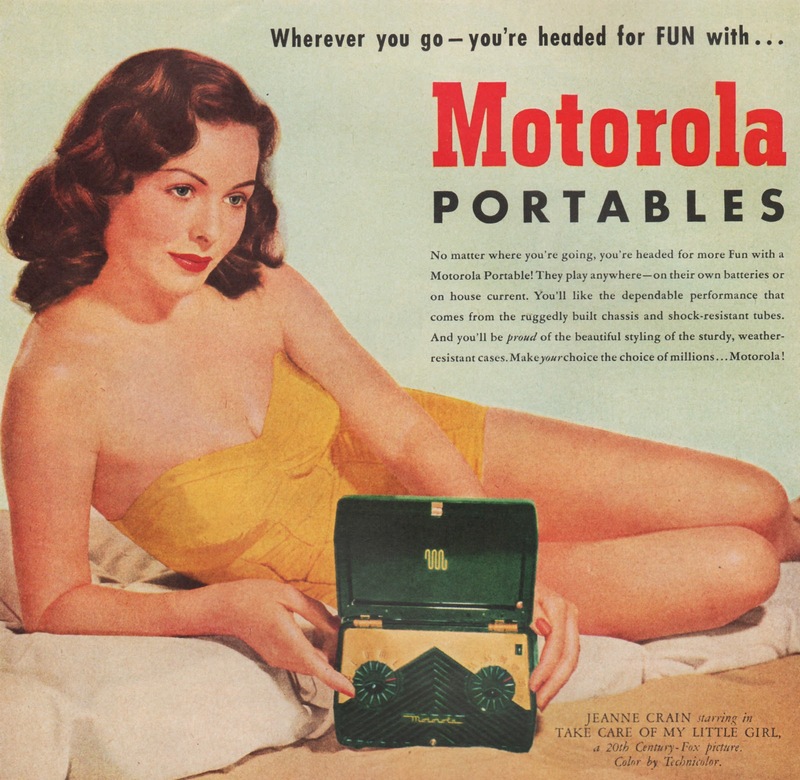 This entry was posted in Collections, Photos, Radios and Tubes, Vintage and tagged Jeanne Crain, Motorola, portable, portable radio, Take Care of my Little Girl, tube radio, vintage ad, vintage radio, vintage radio ad. Bookmark the permalink.